The script has been tested under strict conditions & it is a complete all-in-one solution which doesn't require additional servers for your coin nodes. Installing is really easy, if you are familiar with hosting websites. All you need to do is unzip the files, create a new database, and change configurations. - Comes with pre-integrated coins Bitcoin, Ethereum, Litecoin, Dogecoin, Ripple (all based on Blockchain APIs, meaning you don't have to set up individual nodes for these coins). 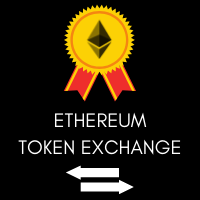 - Add unlimited number of Ethereum based tokens (as long as they are ERC token types, you can add them freely). - Automatic Deposits (typically takes 20 minutes for a coin/token deposit to be processed). - Native API (shows the latest market pairs, highest bid/ask, 24hr volume & change) used for submission on data aggregation websites (e.g. CoinMarketCap). - Robot trading (fake transactions generator). - Full https:// & SSL support. - Google 2FA for all users. PM ME FOR MORE DETAILS or IF YOU HAVE ANY QUESTIONS!